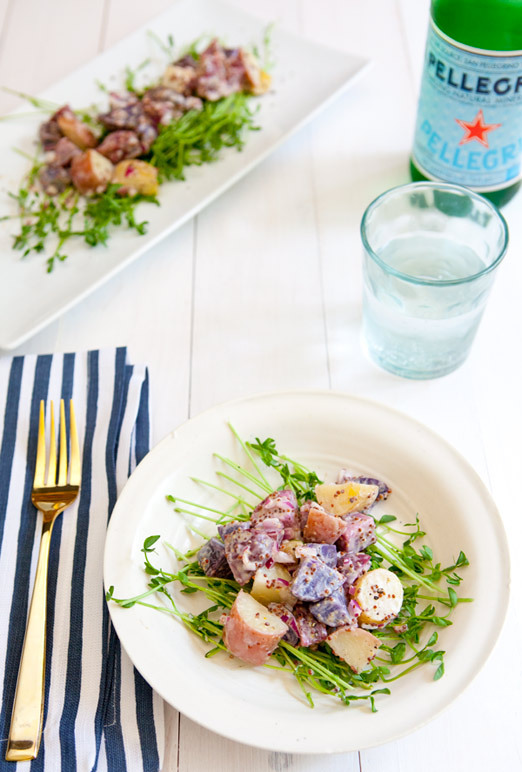 vegan potato salad with pea sprouts! i put this recipe together for the glitter guide… head on over to check it out, it’s a tasty and perfect dish for spring and a great addition to your backyard entertaining arsenal! this looks so delicious! and healthy! i can't wait to try this out, thanks!